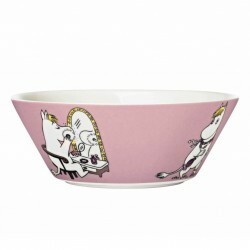 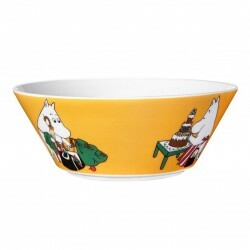 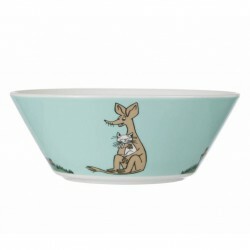 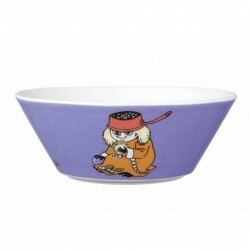 The beautiful bright orange bowl featuring the Hattifatteners was drawn by Tove Slotte. 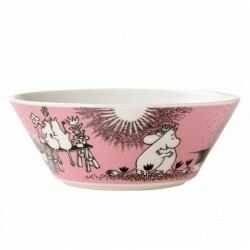 The illustration can be found in the original book ”The Book About Moomin, Mymble and Little My”. 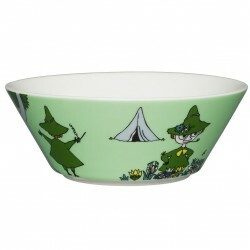 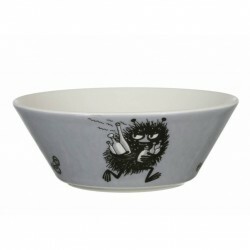 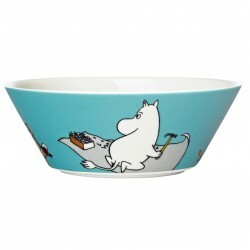 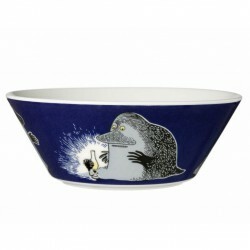 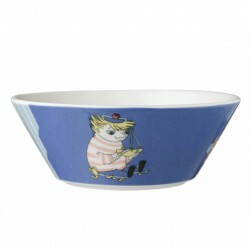 **DISCONTINUED** This already discontinued dark blue Moomin bowl by Finnish Arabia features Too-ticky. 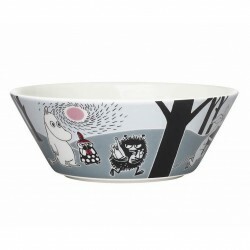 It is amazingly illustrated by Arabia artist Tove Slotte and the illustrations can also be seen in the original book ”Moominland Midwinter” by Tove Jansson and the fifth Moomin comic book.